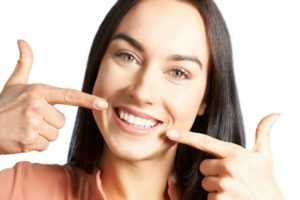 Dental Implants — Tooth Replacement and an Investment? Caring properly for your implants requires many of the same habits that caring for natural teeth does. Brushing twice a day is important because, even though implants can’t get cavities, they can become quite dirty. Furthermore, if bacteria are allowed to hang around the implants for too long, they can sneak into your gums and cause an infection. The infection, if it gets bad enough, may lead to bone loss and implant failure. Be sure to use a non-abrasive or low-abrasive toothpaste because you don’t want to accidentally scratch your artificial teeth. For an extra boost of cleaning power, you might also consider using an electric toothbrush with a small head that can help you make sure every exposed part of the implant structure stays clean. Just like brushing, flossing is important because it can help keep your mouth clean. It can reach the stuff between your teeth and along the implant abutments that your toothbrush can’t get to. If you hate flossing, you might use a water flosser instead. Keep in mind, though, that dentists disagree about whether water flossers are as effective as their old-fashioned string counterparts. Infection is always a concern for everyone, but it’s especially so for folks who have implants. You can battle infection-causing bacteria with an anti-microbial mouth rinse. Your dentist in Palm Bay might recommend that you use a certain product, but almost any antimicrobial rinse should be able to do a good job of keeping those icky germs at bay. Your “dentist near me” wants to help you protect your investment, which is why you should go in for a cleaning and checkup at least twice a year. Your dental care professional will clean and examine your natural teeth, and they’ll inspect your implants to make sure everything looks A-Okay. If you ever notice any changes in the way your implants feel (for example, if they seem a bit loose), it’s particularly important to see your dentist. If problems get diagnosed early on, it may be possible to stop them before they cause permanent damage. Dental implants can give you an excellent return on your investment — a great smile and improved health — but only if you take great care of them by keeping them clean and visiting your dentist often. Dr. Christopher Nowacki is your compassionate, friendly dental expert in Palm Bay. Whether you’ve had implants for years or are thinking about getting them, he is eager to help you in any way he can. You can contact our office at 321-724-9300. Comments Off on Dental Implants — Tooth Replacement and an Investment?